With over 35 years of experience in the industry, Humberside Sunblinds are the leading suppliers of window dressing solutions for residential and commercial customers across the Barton upon Humber area. 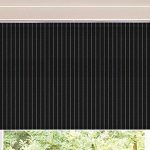 Our range includes a wide selection of high quality Roman, vertical, roller, blackout and wooden blinds, with made-to-measure options to ensure that you get the perfect fit. As accredited Louvelite suppliers, we are able to offer a number of attractive styles, designs and materials for your blinds and our team are on hand to carry out free home surveys and fitting. Window shutters add a touch of style to any home, and Humberside Sunblinds’ collection of wooden shutters, aluminium shutters, plantation shutters and interior window shutters are available in 25mm and 50mm slat sizes. We also stock Perfect Fit shutters, allowing you to black out your room completely, with remote controlled options available. For more information about our range of blinds and shutters, get in touch with Humberside Sunblinds today to arrange a free home visit and quote – we’re available across the whole Barton upon Humber area.